When you're reading this..... I'm somewhere away from the internet. So today, Maria Benson is going to share with you all some tips on taking care of your red-dyed hair. We all know red-dye are tricky and it is also very hard to maintain. Yet, it is a current hot trend. The beauty of a person is not all about the appearance and figure they carry but also about their hair style and how they manage it. Hair colouring is one of the fashion trends. There are various types of dyes available in the market, and the price of those dyes varies from one product to other. 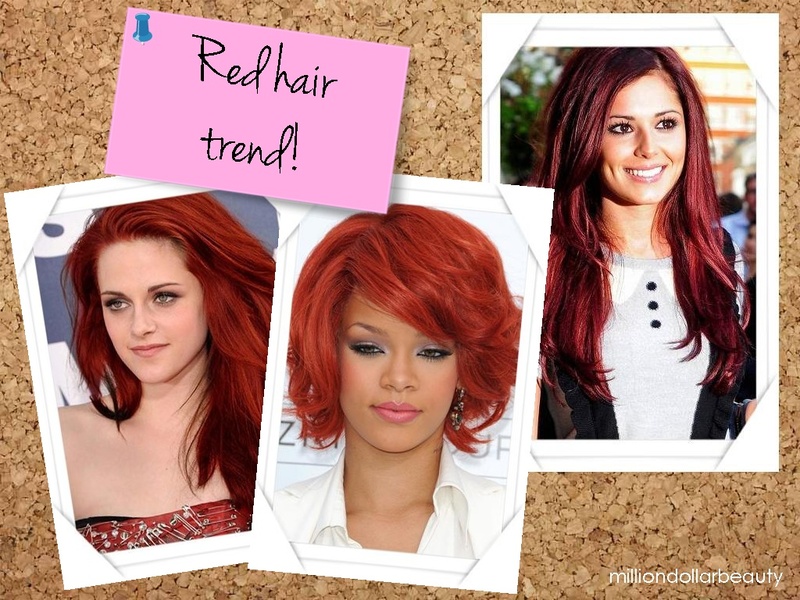 Most of the people wish to dye their hair red without knowing the fact that red dyed hair is hard to maintain. If you do not take proper care of your red dyed hair, the colour of your hair will fade quickly. · Water is the biggest enemy of dyes, around eighty percentage of colour diminishes only because of water not because only shampoo. Don’t rinse your hair more than twice a week. If you rinse more than twice then you lose dye earlier. After shampooing and conditioning, don’t let the water for several times just run over dyes hair. To rinse your hair make use of cool or lukewarm water. Because hot water quickly makes your hair to become dry. · After shampooing, apply conditioner which is especially made for dyed hair. Choose the conditioners which have high amount of moisturisers. For 10 minutes leave the conditioner on your hair to moisturise your hair to that extent. · It would be a beneficial idea which enables the growth of hair, massage your hair before you rinse with warm oil. This idea also keeps your hair moisturised. To massage your hair make use of natural oils like almond, coconut, olive oil and so on. · Try to avoid going out in the sun, because the sun rays can also fade colour of your hair. If there is any urgent work that let you go out in the sun never forget to wear a scarf or hat on your head. · Dress your hair in various styles to reduce the effect of the sun. Never expose your hair to sun light for extended periods of time. This will let the colour to sustain for longer time. · For shampooing make use of shampoos which are especially made for colour protecting, make sure that your shampoo contains natural moisturisers, some protective essences and less chemicals. · Most of the people are in a wrong notion that if they cut their hair, it will reduce the growth of the hair. But it is a wrong assumption. Even it reduces the dry and split ends, and also improves the hair growth. · Do not leave the dye for the extended periods of time. And do not rinse your hair for at least one day so that it sustains the colour for longer time. If you're suffering from severe hair loss or any other hair related problems, it is best for you to see a hair specialist. However, if you fall short of money to afford the bill, you can opt for a loan. While taking loan make a wise decision to take a loan along with ppi claims, as they provide some coverage in order to secure those loans if you are unemployed in the future. Is hair dyeing cause hair loss?